The different authors, websites and resources they provided are a great part of the program as are the “Priceless Packages” that each attendee takes away. The packages are two great bags of gifts for the spouse and their deployed or soon to be deployed soldiers (other military service member spouses are invited but these seminars fill up fast!). As I looked around the room I saw the gift bags at the tables but thought, hmmm the real “Priceless Packages” are sitting at the tables! 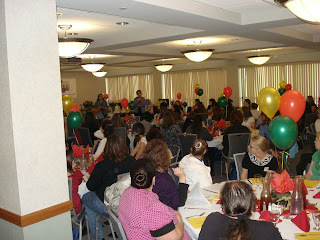 They are enjoying a free lunch or dinner (one evening and one afternoon seminar attended by 150 each), gifts and child care! They are being appreciated and love it! The military spouses are the backbone of the nation’s military and they deserve to be recognized for their efforts and that is exactly what Star and Tara do! Thank you so much ladies! 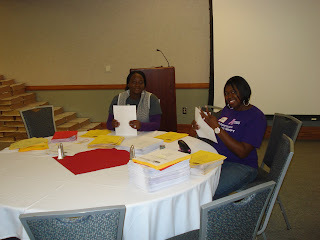 After I saw the smiles on the Priceless Packages I turned and looked at the folks making it possible such as USAA, DECA (commissary), AAFES, Army Community Services, FMWR, K12, TriWest, MilitaryByOwner and MilitaryAvenue.com! Then t here were the local salons, The Mane Thing Salon and Spa and Headliners Tanning and Spa that provided two wonderful door prizes through MilitaryAvenue and some great discount coupons as well! They are also MilitaryAvenue.com partners and you can find them at Ft Riley, one of our 248 installations! 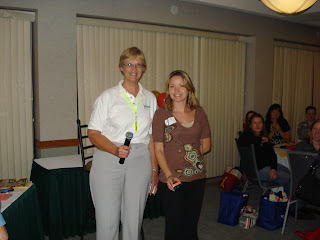 We also gave away two iPods (with USAA) and there were many wonderful gifts from other sponsors as well! Monetary or comfort gifts are great but the best thing I think the spouses took away from the event was the sense of belonging to something bigger than themselves but small enough to make them an individual that is important and needs to be cared for and appreciated! Thank you Tara and Star for recognizing the importance of the spouses and how you can best support them! You can find out more about AWN and their Monday night radio program at their website! Dale and Deb! We couldn't do it without you....as business owners who support us, but also as military retirees who "get" us! THANK YOU to you and all the businesses who bless us through sponsorship and partnerships. Reading this article is great... but WHOA you should attend one of these events! Truly a priceless package time! My dad was in the Military too.